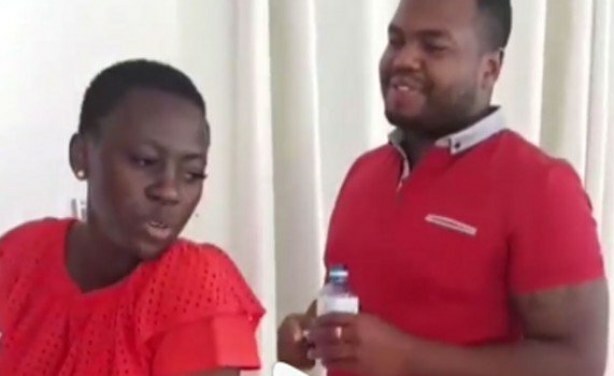 In a video she shared on Instagram, Akothee, dressed in a very short red dress, is seen asking her manager and rumoured lover Nelly Oaks if she can perform for him. Without waiting for his response, she goes ahead! Singer Akothee twerking for her manager Nelly Oaks.